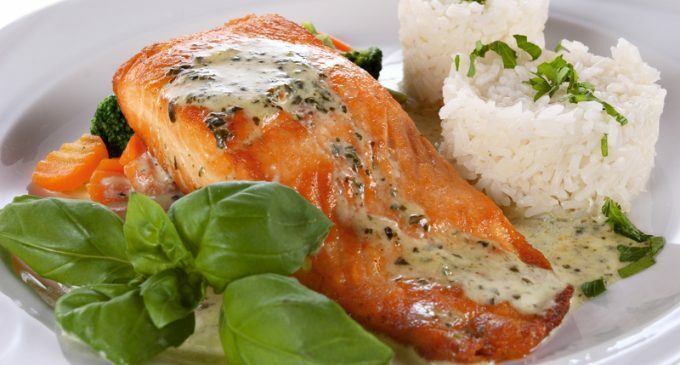 Fish makes a great main course, and while many prefer it for its taste, others are also switching to it from other types of meat because it's lean and loaded with health benefits. However, the fact that it's lean also makes it a little tricky to cook, because it can go from moist and tender to dry and overdone in just a matter of minutes. If you've struggled to get your fish to turn out just right – or maybe even given up on cooking it all together, then we have a couple of tricks that will make all the difference. In fact, the secret is really simple. Just braise or poach your fish for flawless results every time. With braising, you quickly sear the fish before placing it into a cooking liquid and then simmering it. With poaching, you skip the searing part and just place it directly into the liquid to simmer. Both work well because they're more forgiving than other methods, so if you leave the fish in a couple of extra minutes it won't ruin the dish. We like any cooking method that's flexible and makes our jobs easier! To learn more about why braising and poaching are the ideal ways to cook fish, please continue to Page (2) for the full story.